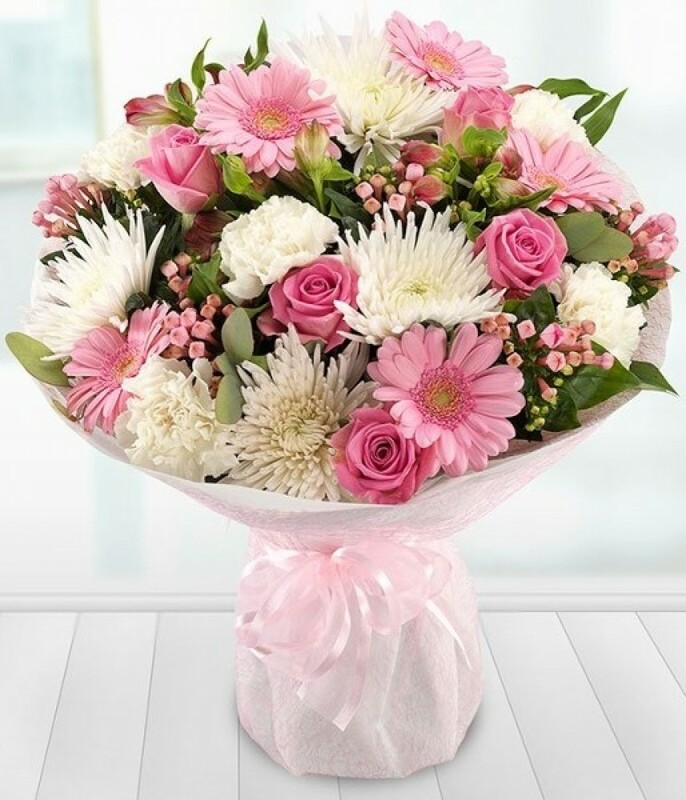 A delicate aqua packed bouquet of delightful pink roses, pink gerbera, white chrysanthemum blooms, white carnations, bouvardia and seasonal foliage. Lovingly created by a local florist and delivered by hand, this bouquet is the perfect way to send your love this Mother's Day. Luxury size shown in image.